Mark your calendars now for the next show in the Mississippi Blues Project series. On Monday, October 22nd, Terry “Harmonica” Bean and Jimmy “Duck” Holmes. 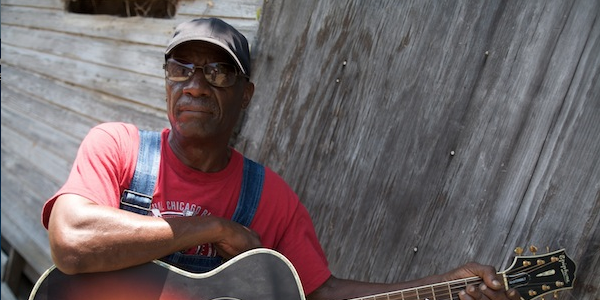 Guitarist Holmes, in his mid-Sixties, is from Bentonia, Mississippi and is the owner of the the oldest juke joint in Mississippi, an essential stop along the Mississippi Blues Trail. “Harmonica” Bean plays the harmonica but also plays a pretty mean guitar, as you can witness in the video below. More details on the show at World Cafe Live are forthcoming; but it will be a free show (sign-ups will be required) and we hope you’ll be able to join us for a night of some incredible Mississippi Blues. Next post: The Blues & Beyond With Jonny Meister: We Juke Up In Here!